This is a simple, moist, delicious recipe for an egg less banana marble cake which I made yesterday for my friends and their family. I was really surprised to see how moist the cake even with no eggs. 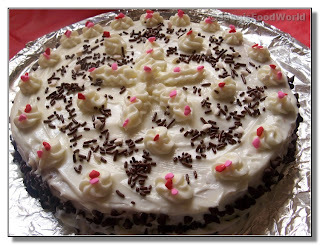 I just made a simple cream cheese frosting and decorated the cake with few chocolate chips and sprinkles. It was great to look and also to munch. 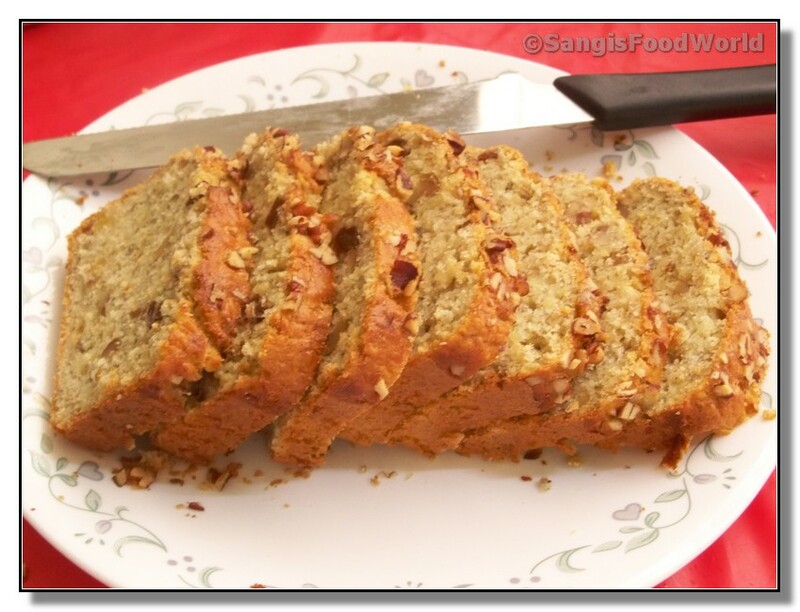 This is a simple and healthy quick bread I made few days back. I also shared it with few of my friends and happy to know that they enjoyed it. 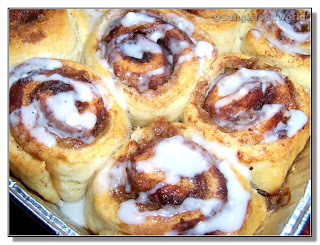 Its very easy to make and makes a perfect bread for breakfast or even with evening coffee. Oats added to it makes it really healthy and also gives a mild chewiness to the usual moist banana bread. I have added walnut, raisins and pecan to my bread. They can be substituted with any kind of nuts or dried fruits. 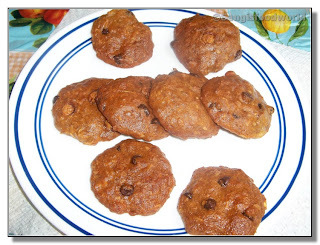 Here comes very simple and quick cookie recipe that I tried yesterday. It turned out to be really great. 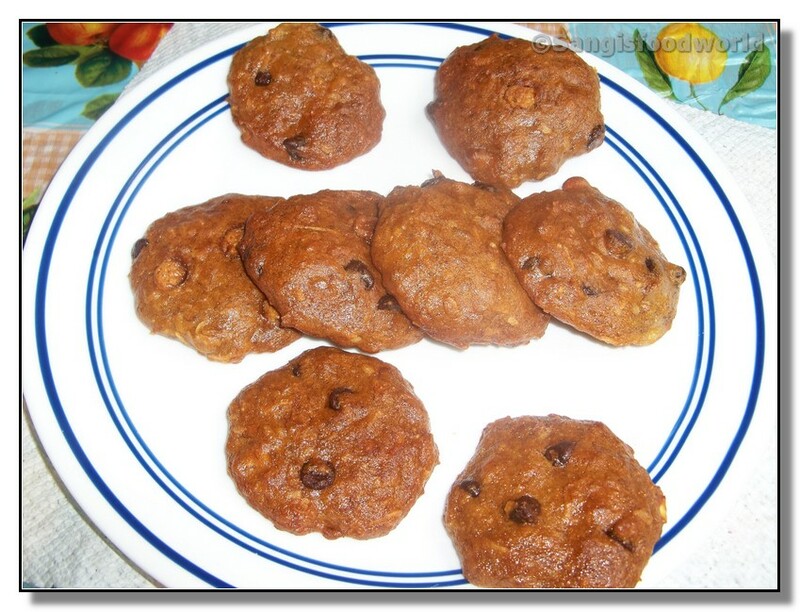 With just few ingredients and less fat, I was able to make soft and chewy cookies. 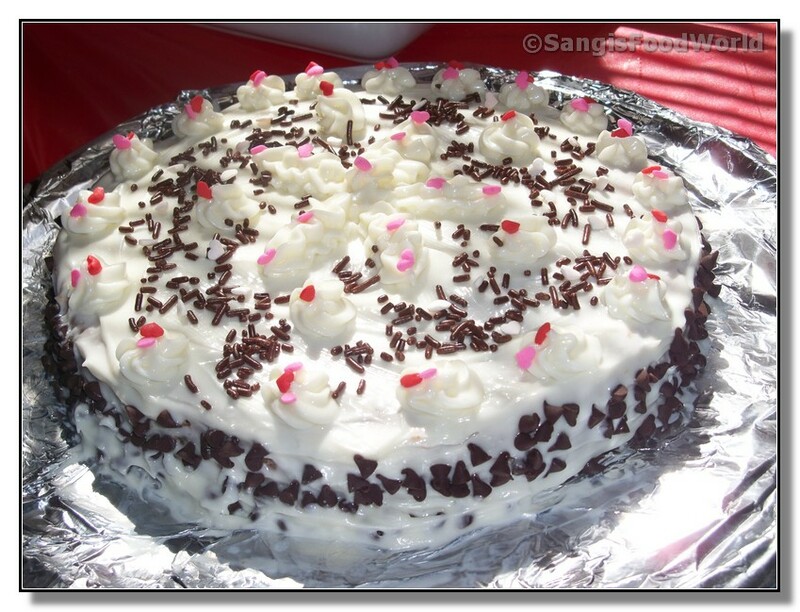 Banana and chocolate flavors together made it a yummy combo and my kid enjoyed it for his snack. It has been more than a week since I posted something in my blog. Also things here were really busy and I couldn't even drop by my fellow blogger and also seem to have missed a lot of recipes. Will try to stay connected with everyone as much as possible. Till May I think it will be like this because we have also planned for our vacation to India next month. After I get back from my vacation and settle down with things here I will get back to my blog regularly. Here I am with simple cinnamon rolls. I got some red plums last week from the farmer's market. It was not that sweet. So I decided to make it into a jam. 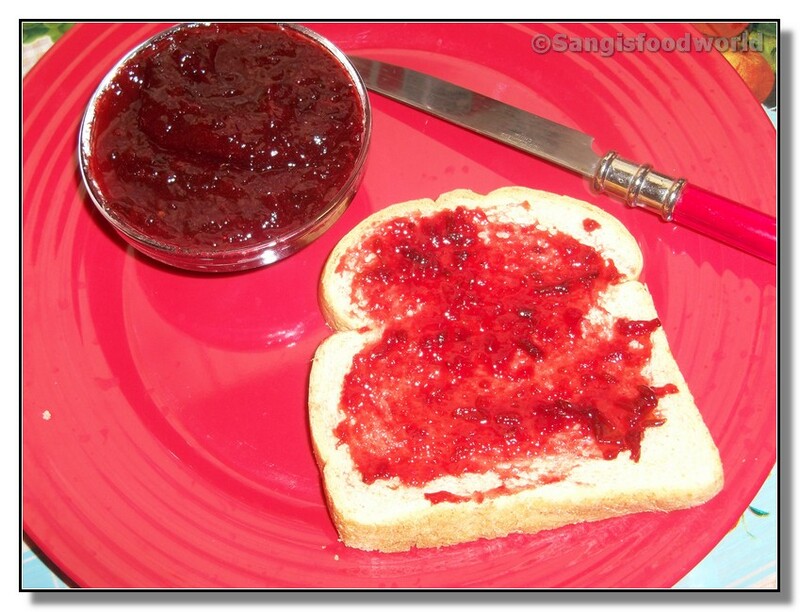 Then thought of adding some spiciness to it and it turned into a great spicy jam/ chutney. The preserve was really great and we enjoy it with bread or chapathi. 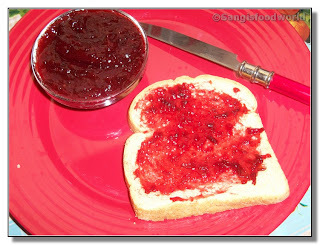 Me enjoyed the jam with dosa and also used it as a dip for the pretzel sticks.. :) Just with simple ingredients we could make delicious preserve at our home with the fresh fruits.